1 Pair Per Pack Or As Customer's Requirement. 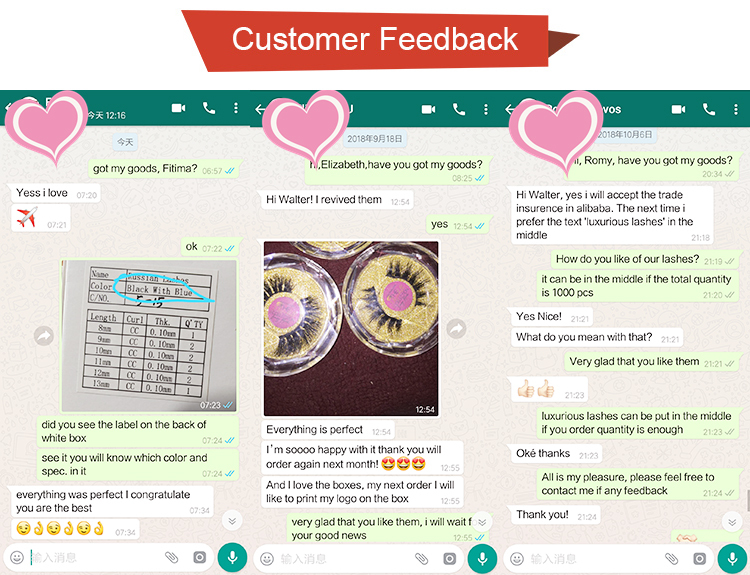 A: Usually, we can provide you a free sample if you can cover the shipping cost. 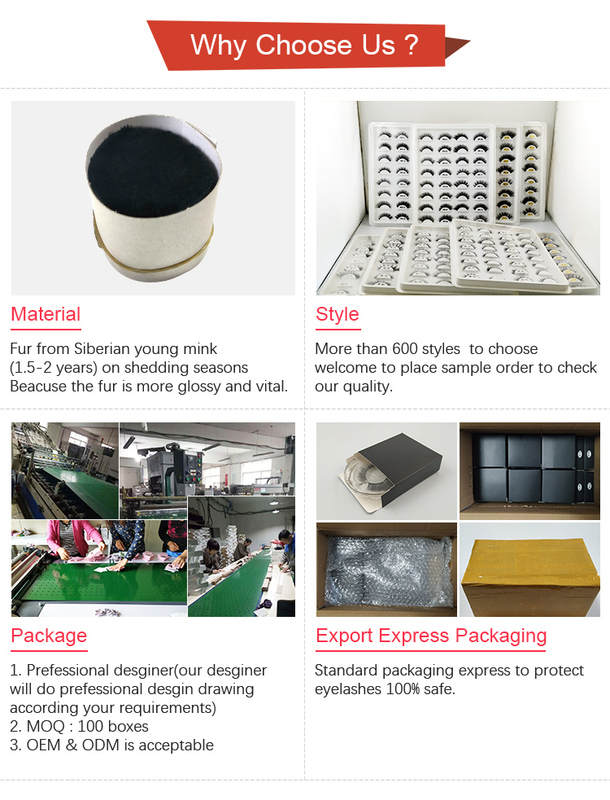 We need charge you samples cost if customized samples. Q2:Do you agree customized packaging? 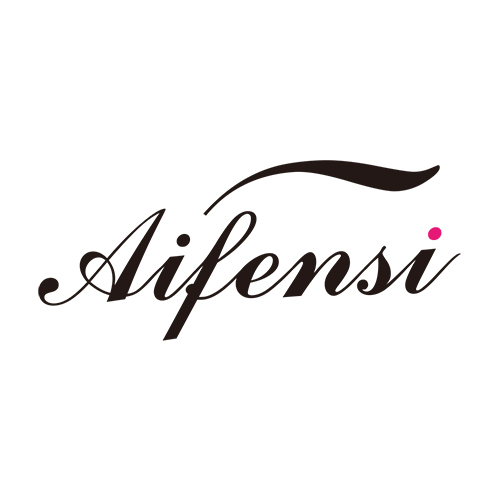 A:Yes, Custom made packaging are available, just send us the design, we will help you print. 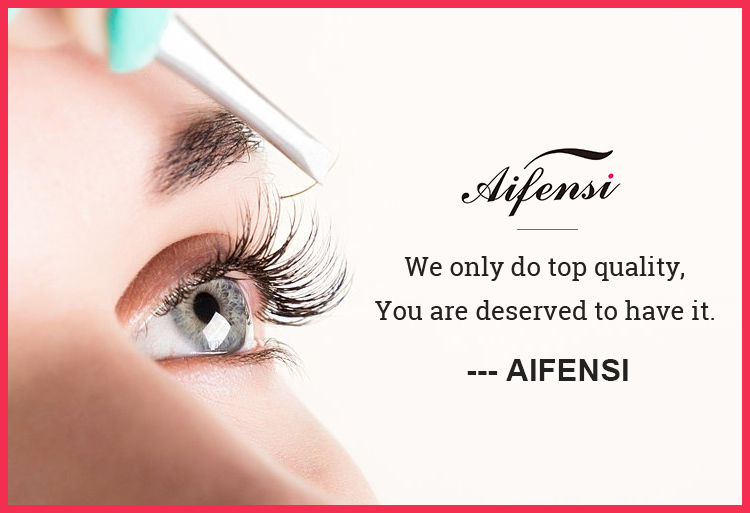 Q3:Is there MOQ for the eyelashes? A: Usually our MOQ is 10 pairs for ready style, it can be mixed with different size and color. 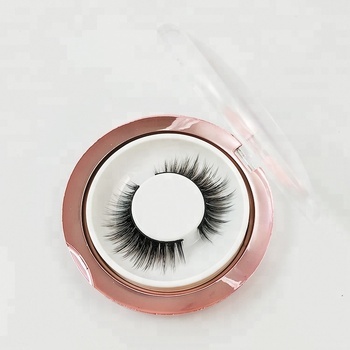 For Customized lashes, the MOQ is 100 pairs. 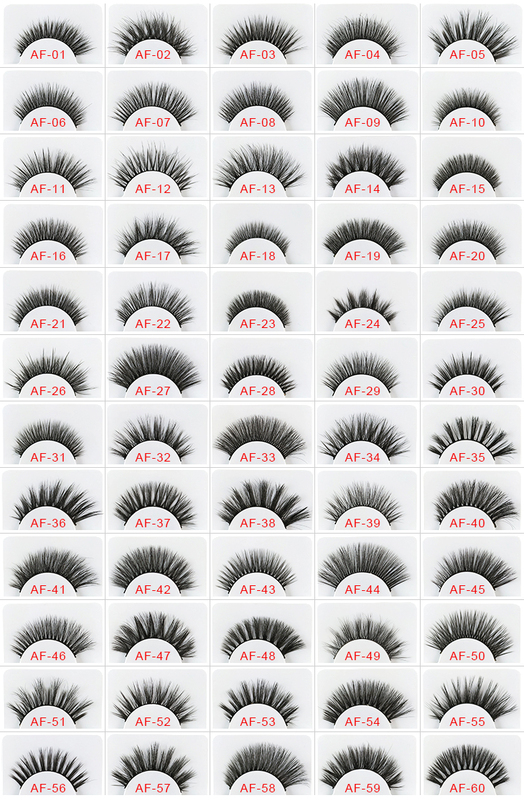 Q4:How many times can eyelashes be used? A:20-30 times in proper and gentle way. Q5: What's your Payment Term? A:Usually 30-50% as deposit in advance and pay the balance before shipping out the goods.If small figure, we suggest full payment in advance. A: We will ship out the goods ASAP when we get your full payment. 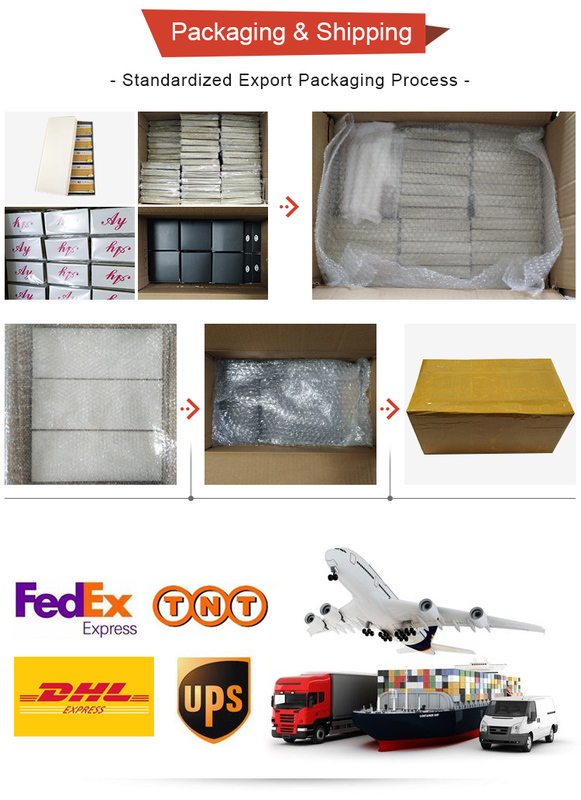 As to the shipping methond, we suggest you by DHL/UPS/FEDEX/TNT/Air usually, we can also agree freight collect if you have DHL Account No. Q7:How much will my shipping cost be? A: The shipping cost will be depend on the real weight and volume of the goods. We will calculate the final shipping cost when we confirm the detailed order. Q8:How to make an order ? 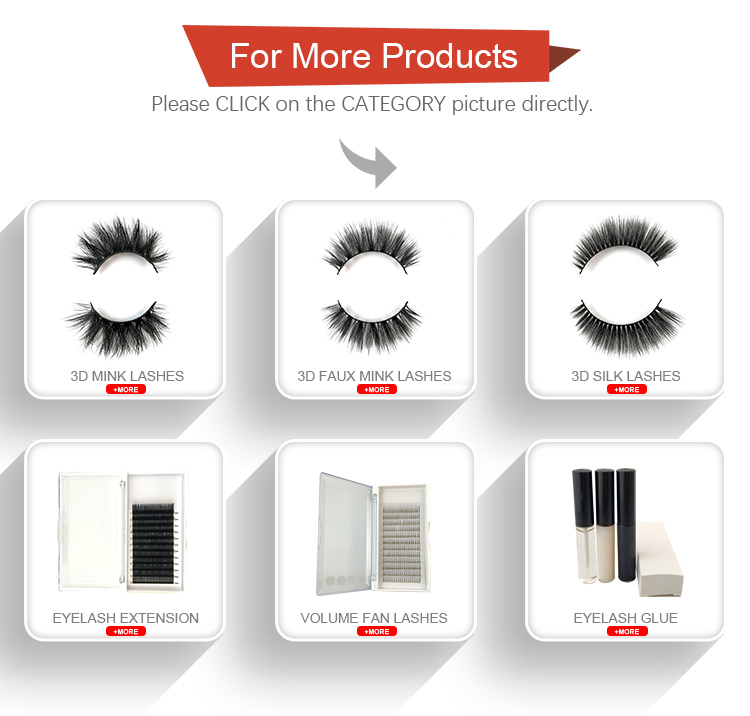 Qingdao Love Fashion False Lashes Co., Ltd.